Focht Construction… “Building Your Future” has been not only a motto for Focht Construction, but the reason for its success in Northwest Ohio. The name Focht has been known for quality construction for 45 years. Focht Construction is a 3rd generation construction family that carries on the tradition of building quality construction in projects for industries that include health care, recreation, retail, industrial, municipal and manufacturing, plus so much more. Focht Construction continues to build our future as we build yours. Excellence isn’t achieved by accident, nor is quality some vague goal. At Focht Construction, we’ve made quality our mission. We have established a company philosophy that permeates everything we do, shared by every member of our team. Every employee in every department understands our mission and contributes to its achievement. By establishing and implementing rigid quality benchmarks and processes to meet them, we foster a team attitude that results in a seamless procession throughout the entire construction process. By creating a smooth transition from conception to completion, we make sure every step throughout the project is predictable for you. Straight talk gets the job done. The professionals at Focht Construction truly believe that fostering trust by being honest and straight forward with our clients, employees, suppliers and subcontractors is the only way to do business. We create a team atmosphere that promotes pride in achieving the same goals, striving for the same high level of quality and a determination to meet every commitment and deadline without fail. It’s the approach that has fueled over 45 years of success. The traditional construction company begins as a residential construction company, offering services restricted to the residential marketplace. Residential construction is often referred to as the ‘training ground’ that allows a new construction company to work towards entering the commercial construction field. 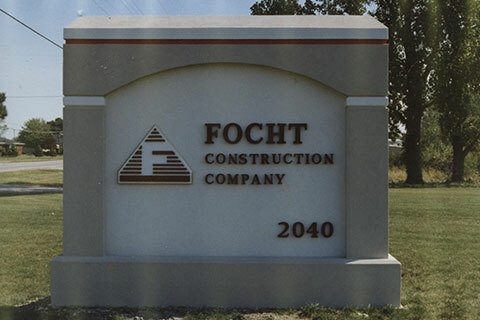 Focht Construction started as commercial construction specialists. 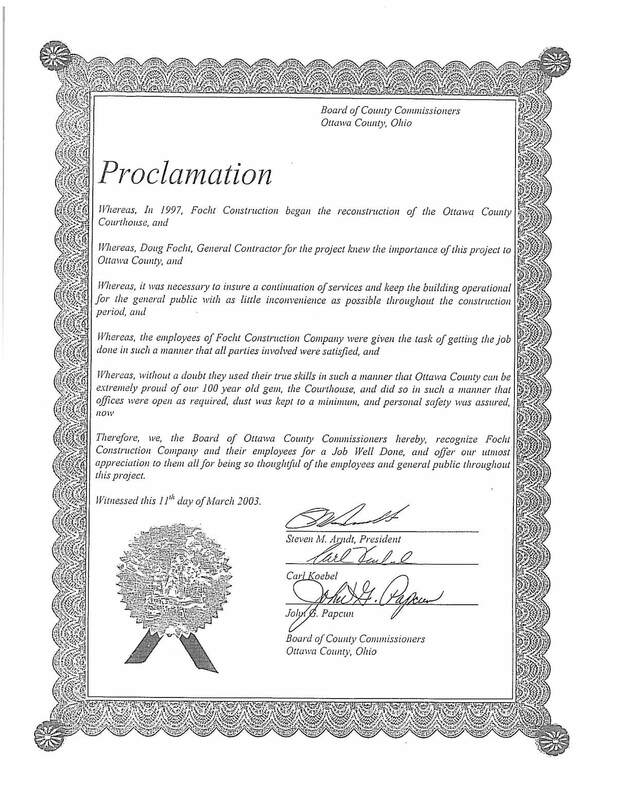 Commercial construction has always been our primary focus. Our team brings years of practical hands-on experience in the commercial construction arena to every project we undertake. Focht Construction: your TRUE commercial construction specialists. Douglas Focht and the Team carry on the tradition of building quality construction by operating Focht Construction on the original founding principles of providing quality through design, workmanship, cost efficiency, and service to every project. Our service and quality, as recognized by our clients, is second to none. If you are contemplating building, expanding, or reconstructing a commercial, industrial, or institutional facility in the near future, consider the professional services of Focht Construction. Whatever your building needs, Focht Construction can provide you with superior service and quality. Our service allows our clients to receive top quality construction at a competitive price which is based upon professional, efficient, and experienced experts. Our service to our clients stands unique in range because of the depth of the capabilities and experience Focht Construction offers. From the smallest renovations to the largest complex, we demonstrate our excellent quality. Contact us today to discuss your plans. Focht Construction has developed a solid reputation • earning it every day, with every client, on every project.